Oh nice, waiting to fall... I thought for a moment these were kakis (persimmon) who persist in the trees when it has no leaves. Never seen apples do this. now this is a nice take on theme day. 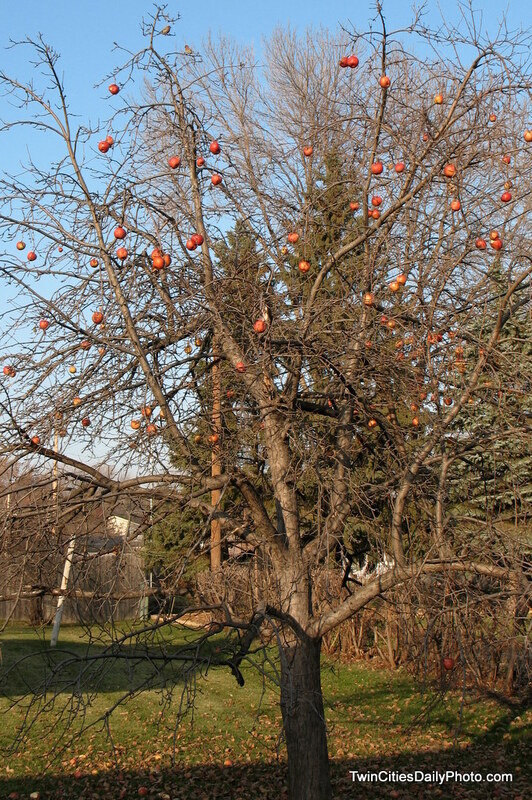 apples waiting to fall. great capture. What is swc? Gravity will eventually win the WAITING game, don't you think? swc is my fathers initials. Thanks dad for the photos!